It’s a great time to be doing business in the UK as the economy continues to strengthen. If your company is based outside of the European Economic Area (EEA) and Switzerland and you want to set up a UK branch your employee will need a Sole Representative Visa. The UK Visas & Immigration department of the Home Office have a lengthy list of requirements covering both your business and your proposed UK staff member. Here at Lexoo our lawyers are experienced in helping businesses make successful applications for Sole Representative Visas. Send us details of your needs and we’ll arrange for a number of competitive quotes to be sent to you by our carefully selected immigration lawyers. Under the current Immigration Rules, a representative of an overseas business may come to this country under a Sole Representative Visa. This allows an overseas business, situated outside of the EEA and Switzerland, to send a single employee to the UK to set up a branch, office or subsidiary. It is not possible to apply to switch an existing visa to a Sole Representative Visa from within the UK and application to the Home Office for this type of visa must always be made from outside of the UK. The UK Visas & Immigration department will need to be satisfied on a large number of points, including that the parent company is a genuine commercial enterprise. To this end a substantial amount of supporting documentation will need to accompany any application for a Sole Representative Visa. Here at Lexoo we have a number of highly qualified lawyers with in-depth experience of the UK visa system. To take advantage of their expertise, ask us for a selection of quotes for the assistance you need in putting together a successful application. The application can be made online and the proposed UK employee will also be required to visit their local visa application centre where biometric information including fingerprints and photograph will be recorded for entry clearance purposes. 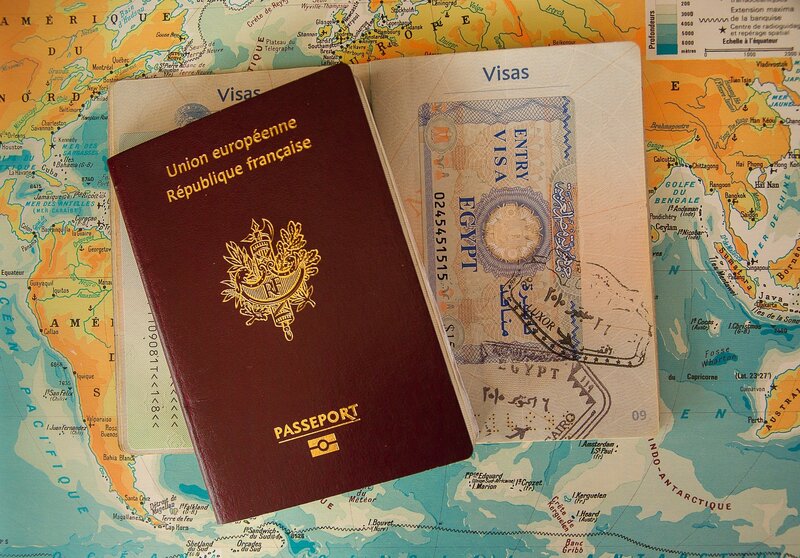 A valid passport must be produced with a blank page available for the visa stamp. The representative will need to meet the minimum English requirement, either by passing an approved English language test [https://www.gov.uk/government/publications/guidance-on-applying-for-uk-visa-approved-english-language-tests] or by having an academic degree-level qualification in a subject which was taught and examined in English. The parent company must be situated outside of the UK and may not intend to move to the UK. The applicant may not be a major shareholder in the company. In reality the maximum shares permitted are around 30-35%. Where a shareholding is found to be over 50% a Sole Representative Visa application will automatically be declined. Where a representative does have a substantial shareholding, the company will need to show that he or she is not the driving force behind the company because that would risk the centre of operations moving to the UK. The visa authorities will look at the size of the shareholding, the applicant’s position within the company, the number of other senior employees who are remaining abroad and the extent to which the company’s success is reliant upon the applicant’s performance. Similarly, an application to send a family member as the sole representative will also attract higher scrutiny, and evidence of the genuine abilities of any family member will be required. Full details of the parent company’s business, including assets, accounts, share distribution, activities and the number of employees. A notarised statement that the new UK-based subsidiary will carry on the same business as the parent company, that the applicant will be their sole representative in the UK, that the centre of operations will remain overseas and that the company has no other branch or representative in the UK. Job description, salary details and copy employment contract. It will be expected that as a senior employee the applicant’s salary will be higher than most other employees. Confirmation that the applicant will be mainly based in the UK and carrying out a long-term UK In reality the representative will be expected to spend a minimum of 9 months per year in the UK although in some circumstances less than this may be acceptable. If the stay is to be less than 4 months of the year an application for a Sole Representative Visa is unlikely to be granted, and a Business Visitor Visa would be a more appropriate choice. Evidence that the employee holds a senior position within the parent company with the power to make all major operating decisions on its behalf in the UK without reference to the parent company. If it is intended to recruit for this new post then the applicant must show considerable experience and expertise in the relevant field. Application can be made online and must be made from outside of the UK. It should be made not more than three months before the intended date of travel. A decision is usually made within three weeks of the receipt of all documentation and it is usually possible to fast track the decision within a week if required. The application should be accompanied by the UK Visa & Immigrations fee of £546 as well as the healthcare surcharge of £150 for each year of the stay. If granted, the Sole Representative Visa gives a right to stay in the UK for three years. Towards the end of that time (but before the expiry date) it is possible to apply for an extension. At this stage it will be necessary to send a letter from the employer confirming a wish to continue with the employment together with evidence of the branch or subsidiary office that has been established. The extension, if granted, will allow for a further two year stay. At the end of that time Indefinite Leave to Remain may be applied for. Obtaining a Sole Representative Visa and being able to send a key employee to establish a branch or subsidiary in the UK can be highly beneficial to successful and ambitious companies. To ensure that your visa request has the maximum chance of success, contact Lexoo to find an expert lawyer to guide you through the process and make sure your application is the best that it can be. Simply let us have your requirements and within 24 hours we will arrange for a selection of our experienced immigration lawyers to send you quotes. With this type of visa application it pays to make a good impression. Let a Lexoo lawyer help you get it right first time.